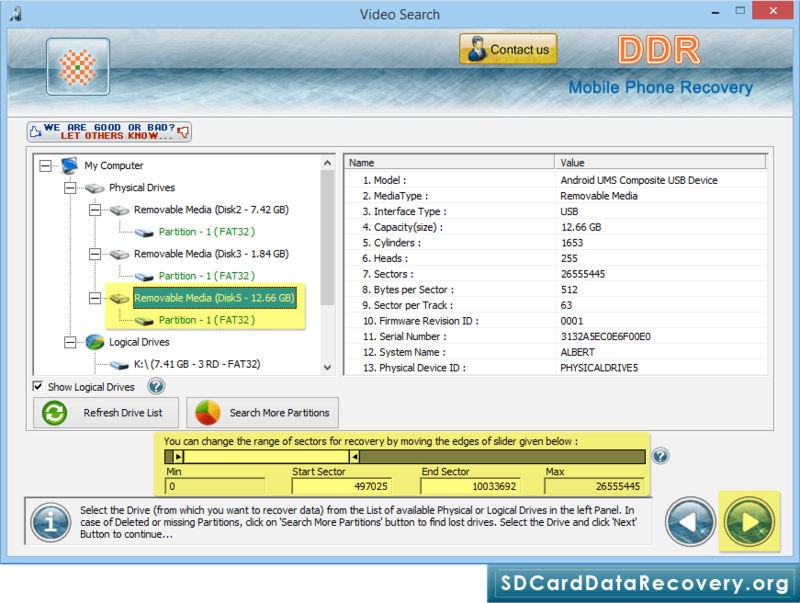 Software provides five recovery modes, select any one mode as per your requirement. 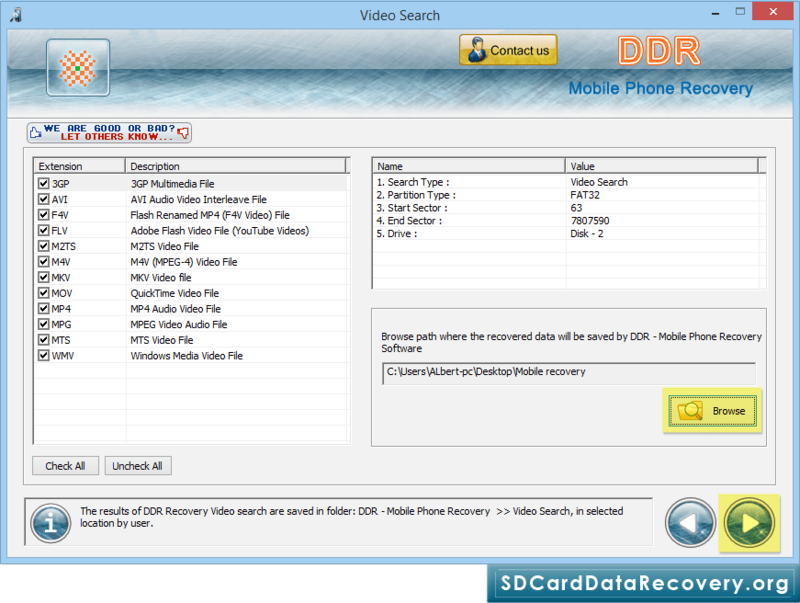 Select removable media (from which you want to recover lost data) from left panel and click Next button to proceed. 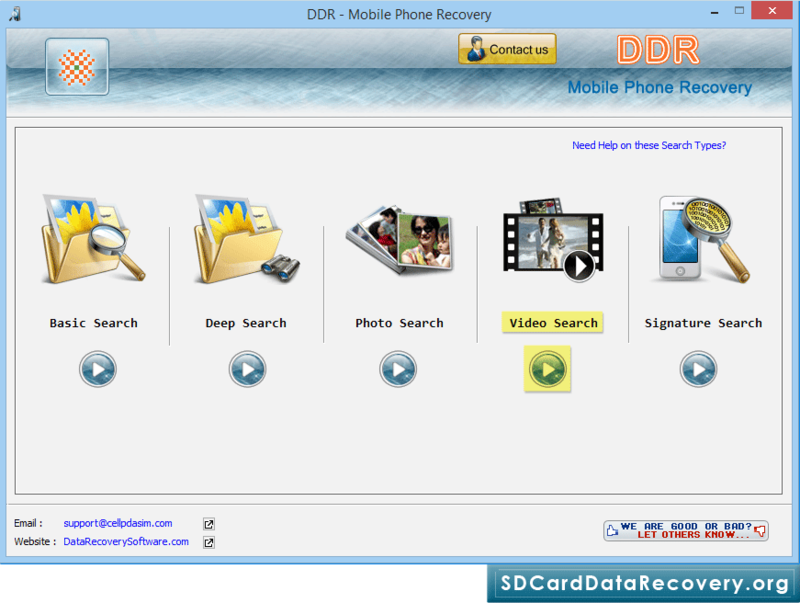 Select extension of lost files and browse path where the recovered data will be saved by software. 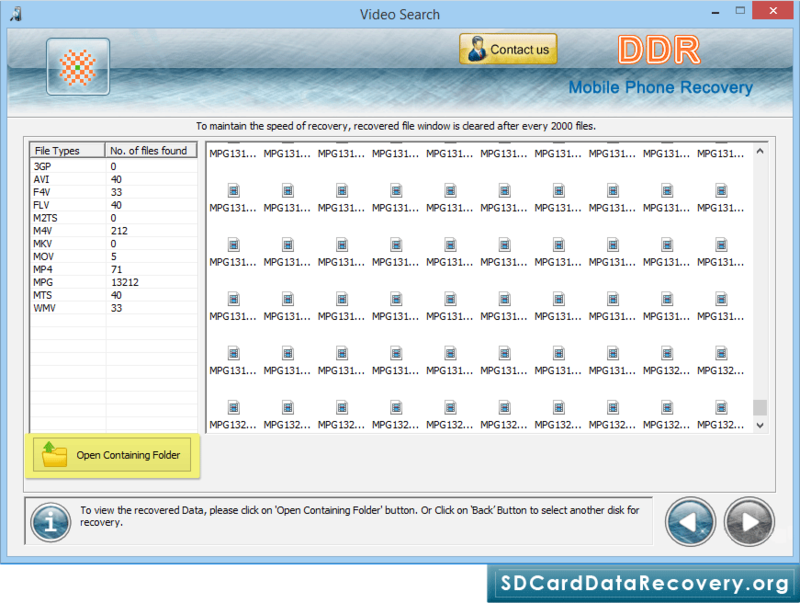 Data recovery process (using DDR General Video Recovery Procedure) is going on. 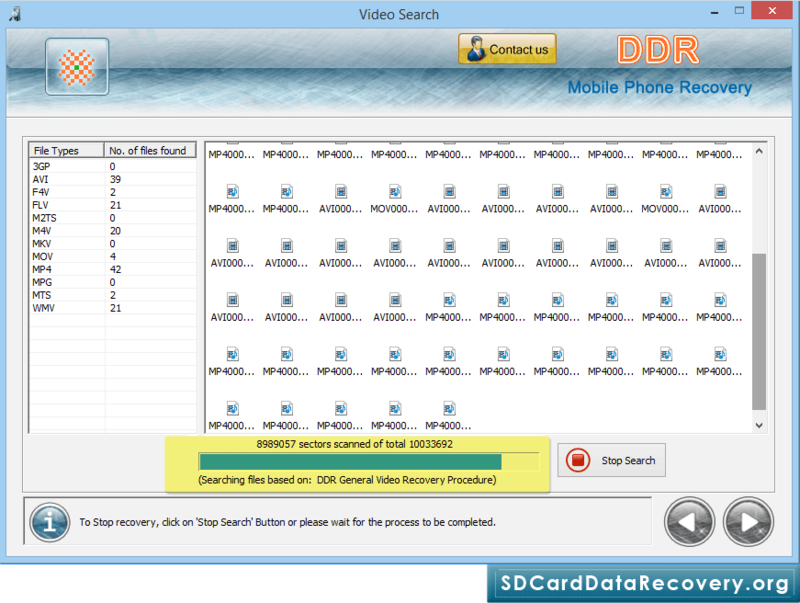 To view recovered data files, click on 'Open Containing Folder' button.